Over 9,000 people signed an online petition asking US President Donald Trump to expel US-Hungarian billionaire George Soros from the United States as well as ban him and members of his family from founding and influencing US politicians. MOSCOW (Sputnik) – George Soros is a billionaire as well as the founder of the Open Society Foundations philanthropic organization, which “supports democracy and human rights in more than 100 countries.” Opponents of Soros accuse him of interfering in internal relations of foreign countries and supporting revolutions there. Moreover, Soros is reportedly funding anti-Trump protests across the US. “President Trump, We the people are asking you to ban George Soros from our country. We ask you to ban both George Soros and all his family members from doing any and all business in our country from contributing to politicians or their foundations in order to influence and manipulate our corrupt politicians,” the petition said. Authors of the petition also asked Trump to make it a crime to do business with Soros and his family members as well as to accept money from him. 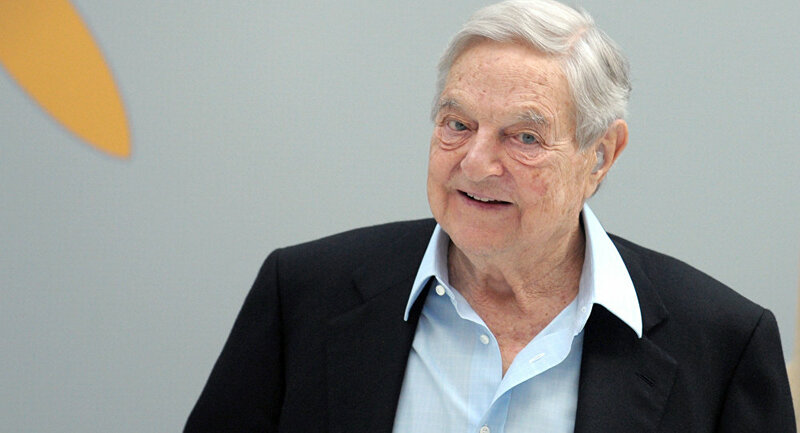 “We are asking you to issue a warrant for his arrest for hiring people for willful intent to riot and protest injuring our people and damaging our properties … As George Soros has made it clear that he is working to destroy our country, restrictions must be put in place immediately against all the Soros family in America to keep them from further treason against our country,” the petition said. Is George Soros Bringing Color Revolutions to America?